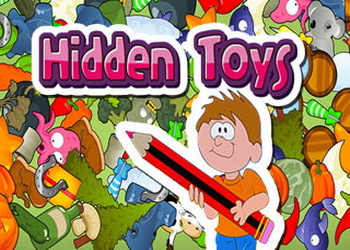 In Hidden Toys, a colourful hidden objects game, you're going to solve one of the most common dilemmas of everyone's childhood! Max has loads of cool toys: most of them are usually scattered all over the place. So when he wants to play with a particular toy, it's almost impossible to find! Show Max how stuff should be sorted out and help him do the room. Keep track of time as his parents are about to get home from work. They won’t be glad seeing all the mess!